There is no denying that motivated employees are usually more productive, efficient, and effective than their unmotivated counterparts. In the past employees were often motivated by the thought of extrinsic rewards, but today, it is becoming more and more common for employees in the workplace to be motivated by intrinsic rewards. As an employer, it is an important to have a clear understanding of what intrinsic rewards are motivate employees. Let’s look at them. A sense of purpose: This reward means that your employee feels that that he or she has a chance to accomplish something with a real value, or something that actually matters in the grand scheme of things. In other words, they believe that the job they are doing has a real purpose in life and is worth devoting their time, attention, and energy to achieving. 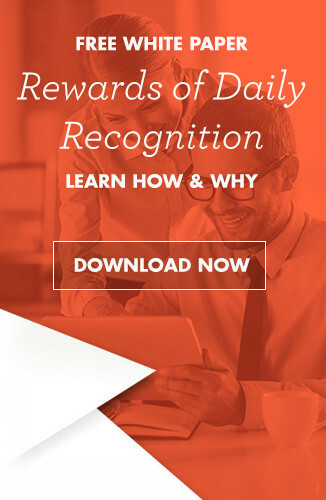 A sense of recognition: For some of your employees, the intrinsic motivation that comes with being recognized as a valued member of the company is far more important than any tangible prize they may receive. While it is great to receive a gift as part of an employee recognition program, many employees often find more motivation and feel more pride simply by seeing themselves recognized as one of the company’s top employees. This will frequently inspire him or her to work harder in order to attain a certain level of recognition. A sense of accomplishment: The intrinsic motivation that comes with having a sense of accomplishment is often very strong. For example, a nurse may feel immense pride and achievement when assisting a patient, while the manager of a boutique may feel a sense of success after helping a woman find an outfit that she looks and feels great in. Sometimes a quick “thank you” or “good job” can be a very powerful reward. If possible, remind employees of their achievements via a companywide email or newsletter. A sense of competence: Some employees are extremely motivated simply by the knowledge that the level of work he or she is doing meets or exceeds company standards, as well as their personal standards. The strong sense of pride and satisfaction that comes with a job really well done often only motivates the employee to work even harder. A sense of choice: When an employee feels that he or she has the ability to choose how to complete their work, they feel a sense of ownership regarding their work. Giving an employee the ability to complete their work in a way that makes the most sense to them indicates that you have confidence in their abilities. 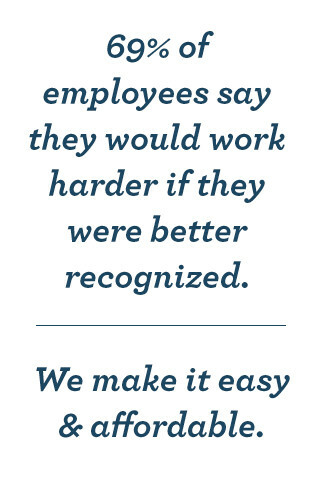 This is an intrinsic reward that employees truly appreciate. If you have an employee that deserves an extrinsic reward, as well as an intrinsic reward, Successories has a wide selection of gifts to choose from. If you have any questions, don’t hesitate to contact us at 1-800-535-2773.